Free of aluminum salts, this roll-on deodorant provides effective protection against dampness, discomfort and body odor. 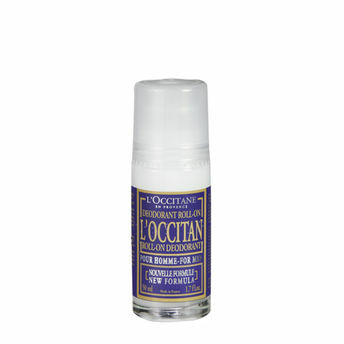 All day long, skin stays pleasantly fragranced with the spicy, aromatic scent of L'Occitan fragrance, redolent with the rich scents of Provence. This roll-on deodorant gel dries quickly: clothes slip on without risk of staining.